If you fancy getting out on the water for an hour or two, why not grab a board or kayak from the Back Beach in Teignmouth and explore the harbour. DETAILS: Hire a Double or single sit on top kayak and paddle around the estuary in the knowledge that we are keeping an eye on you and the safety boats are on hand in the unlikely event that you need it. Please call to book, so that way we can advise you on the best tide times. 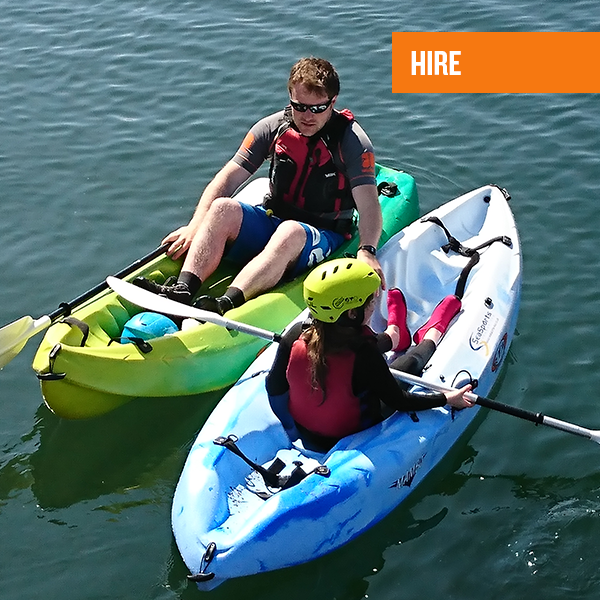 Hire prices include buoyancy aids but not wet suits; however you can hire a wet-suit and enjoy the use of the changing rooms and showers for just £3 extra. DETAILS: Available by the hour, hire a paddle-board and paddle around the estuary in the knowledge that we are keeping an eye on you and the safety boats are on hand in the unlikely event that you need it. It’s always a good idea to call and book, so that way we can advise you of best time tide times. Hire prices include buoyancy aids but not wet suits. You can hire a wet-suit and enjoy the use of the changing rooms and showers for just £3 extra.